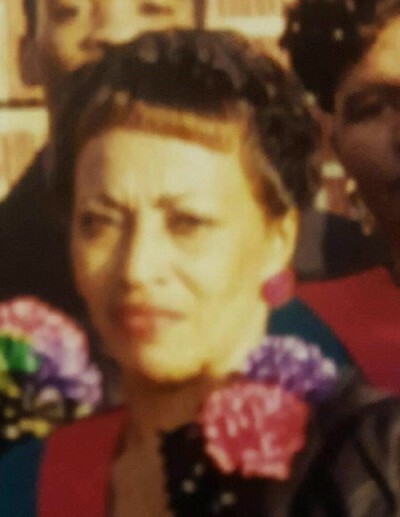 Obituary for Peggy Bynum | Genesis Funeral Services & Chapel Inc.
SHELBY: Mrs. Peggy Brooks Bynum departed this life on Saturday, April 13, 2019 at Lincolnton Rehab and Nursing. A native of Cleveland County, North Carolina, she was born on February 26, 1953 to the late Dorothy Allison and Howard “Steve” Brooks. In addition to her parents, Peggy was preceded in death by her sister, Maggie Brooks and her brother, John Moses. She leaves to cherish fond memories, her son, Tony LaMatt Brooks and daughter-in-law, Priscilla of Shelby, North Carolina, a loving aunt, Thelma Allison of Shelby, North Carolina, two grandsons, Antonio Jo’Hann Brooks, of Peoria, Illinois, and Tony O’Brian Brooks of Shelby, North Carolina, four great-grandchildren, D’Antony Brooks, Antonio Brooks, Jr., Alizah Brooks and Camryn Lucy Mae Brooks all of Peoria, Illinois, three brothers, Freddie Brooks of Detroit, Michigan, Ricky Brooks of Cherryville, North Carolina, and Stanley Brooks of Waco, North Carolina, three sisters, Gail V. Brown of Shelby, North Carolina, Georgia Smith of Charlotte, North Carolina, and Cynthia (Roger) Fuller of Waco, North Carolina, and a host of nieces, nephews, and other relatives and friends.